The ELF Free Standing TV Stand supports monitors and TVs up to 60”. 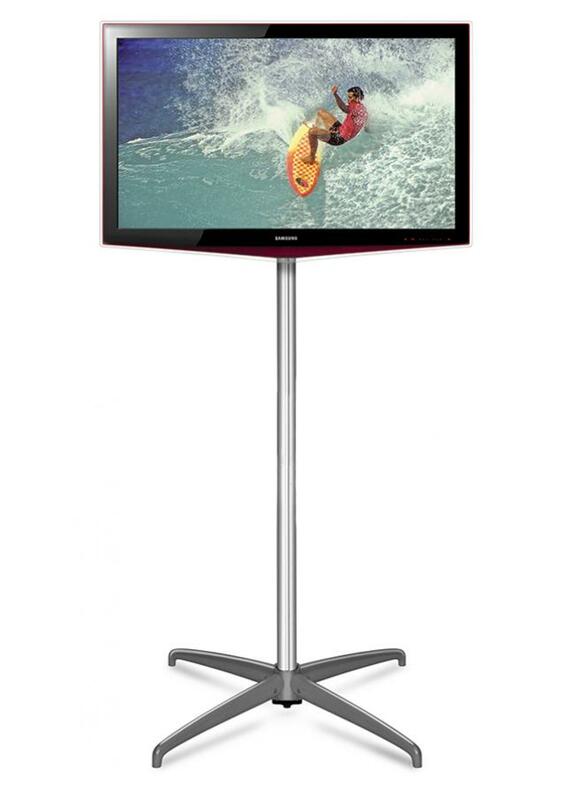 Ideal for use in primary schools, secondary schools, colleges and universities for displaying educational media such as videos and presentations. 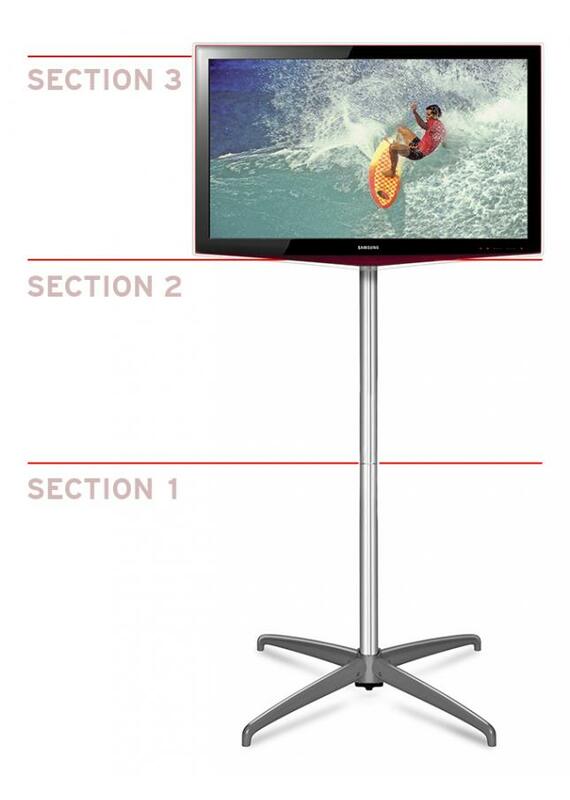 A VESA mount is included with the TV stand which supports 200x200mm up to 400x600mm. The monitor bracket is height adjustable between 4 different heights 1600mm, 1700mm, 1800mm and 1900mm. This is ideal as it allows you to set a height that is best for the class you are teaching. 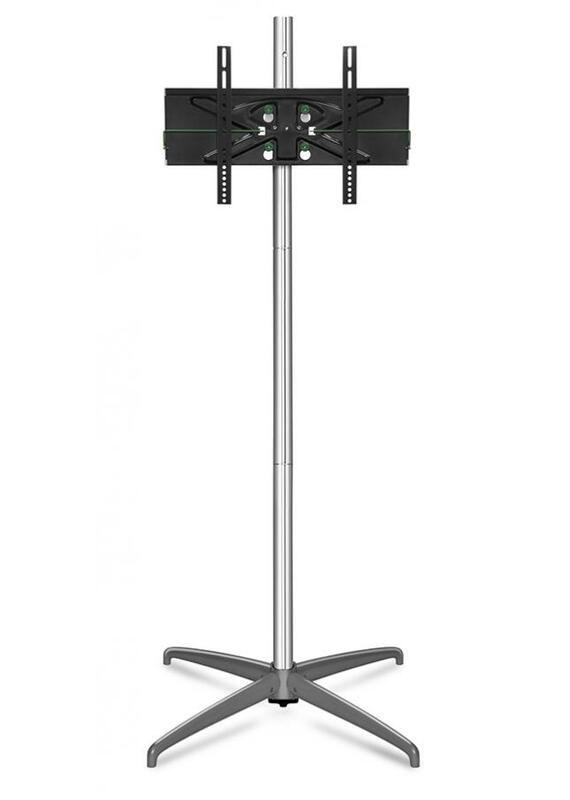 The ELF 60 Free Standing School TV Stand is available with two options: the pole in three sections, which is packed in a single bag or the pole in one section, with the stand packed in two bags. Please note that the pole in one section is close to 2m in length, however it is quicker to assemble than the three section pole. A heavy duty shelf is also available which is ideal for holding a laptop or computer keyboard. This shelf can be adjusted both vertically and horizontally. The shelf has a load bearing weight of approximately 10kg when evenly distributed and comes in a separate carry bag for easy transportation and storage. Dispatched within 3 working days when ordered before 3pm.